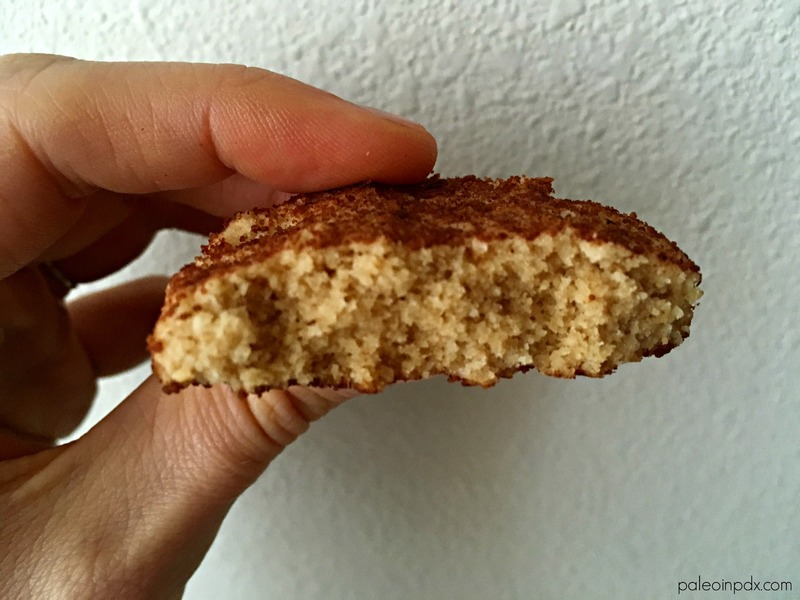 Since it is the time of year for goodies, I thought I’d try my hand at grain-free snickerdoodles. These did not disappoint and could not be any easier to make. The texture is soft and pillowy with a light crust on the edges. The flavor is slightly sweet, tangy and of course, cinnamon-y. The cream of tartar is actually what gives the cookie its signature tang and reacts with the baking soda to create the crackled appearance. The cream of tartar also accounts for the perfect chewiness. When first researching snickerdoodle recipes, I was actually kinda thrown off by the cream of tartar. I had to do a little more digging, but soon understood that from a snickerdoodle purist standpoint, it’s a must. 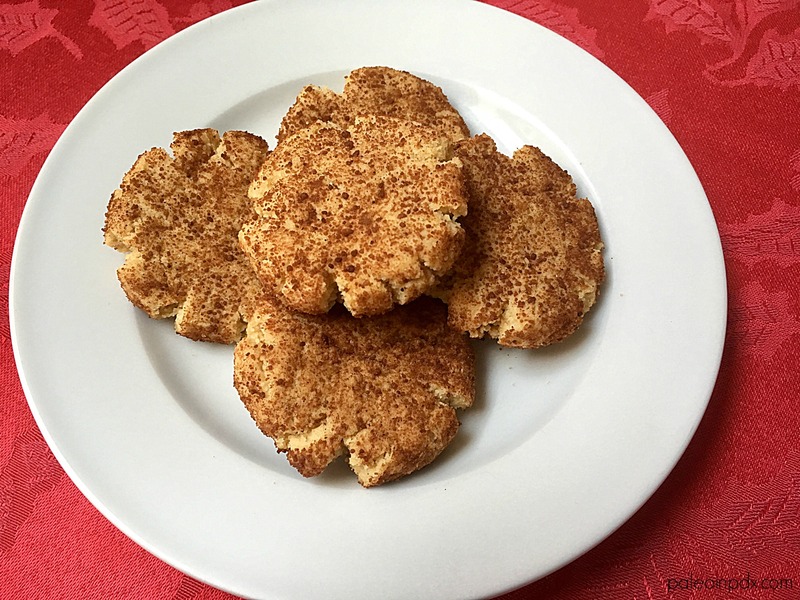 Traditionally, it was always used to make snickerdoodles and without it, it’d just be a crunchy cinnamon sugar cookie (it keeps sugar from crystalizing!). It truly is the age-old snickerdoodle secret and enough for me to want to include it in the recipe. Another thing about a classic snickerdoodle recipe — there is no vanilla extract. This is actually quite rare for a cookie recipe, but from what I learned, vanilla mellows out the tangy flavor from the cream of tartar. Who knew? So, in an effort to keep the cookie more classic, I also opted for no vanilla. And, truthfully, I didn’t miss it. On another note, I went back on KATU Afternoon Live in November and made my herbed turkey potato stew. Watch the segment HERE. Stay tuned because I’ll also be going back on December 16 to make my no-bake rum balls! Line 2 baking sheets with parchment paper or use a non-slip baking mat like this one. Preheat oven to 350 degrees F.
In a large bowl, mix together the almond flour, cream of tartar, baking soda and sea salt. Set aside. In another large bowl, cream together the softened butter and 3 Tbsp of coconut sugar. Once light and fluffy, beat in the egg. Then, slowly add the dry mixture until combined. In a shallow dish, mix together the cinnamon and remaining 3 Tbsp of coconut sugar. Scoop out 1 Tbsp of dough and roll between hands to form a ball. Then, roll the ball in coconut sugar and cinnamon to coat. Place on prepared baking sheet. Gently flatten dough with palm of your hand. Bake in the prepared oven for 8-9 minutes or just until edges are barely brown. Cool on baking sheet for several minutes before transferring to a cooling rack.